Mens Gabicci Navy Polo with classic short sleeves. Machine Washable. 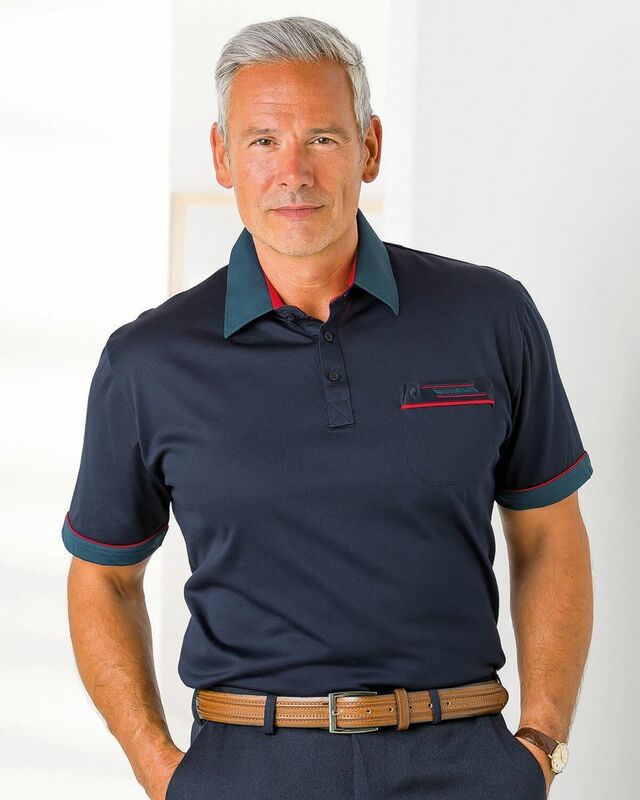 Classic short sleeve jersey polo shirt with contrasting collar and cuff edging with motif design on a single breast pocket.